Australia's #1 Best Selling First Aid Kit! 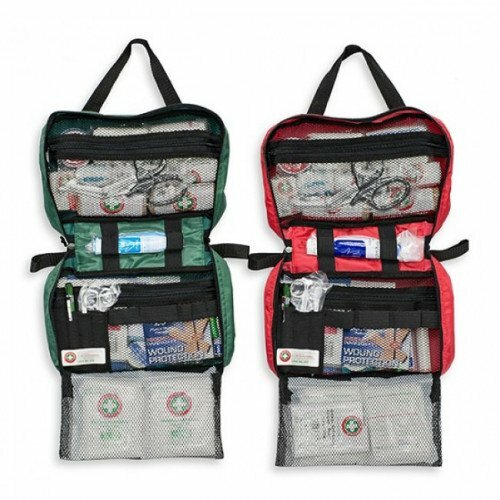 Our K150 Compact First Responder First Aid Kit, two for one deal, is excellent value for money. It is our Most Popular Kit designed to provide comprehensive cover in most Remote Area situations. The K150 Compact Remote Area First Aid Kit provides individuals and small groups with Remote Area cover. This First Aid Kit is suitable for camping, bush-walking, caravanning and 4WD enthusiasts, fishing, sub-contractors, builders, farmers, truck drivers, families and anyone that is concerned about not having immediate access to permanent medical facilities. It has the added advantage of having the correct bandages to deal with bites from snakes and other venomous animals and insects.